Avakian 18K white gold victory bracelet with tsavorite garnets and diamonds. Tiffany & Co. 18K yellow gold audubon brooch with diamonds, tsavorite, spessartites, amethyst, garnet, pearls, carnelian beads and lacquer. Cartier 18K yellow gold bracelet with green beryl, brown and white diamonds, brown obsidian, onyx and tsavorite garnets. Martin Katz platinum ring with alexandrite, diamonds, amethyst, garnet and sapphires. 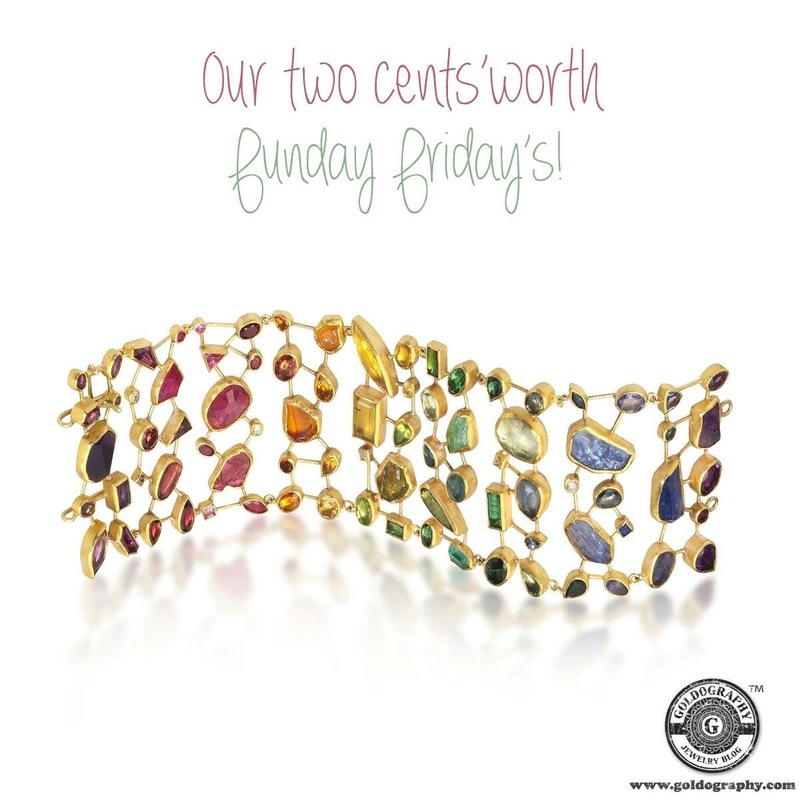 Petra Class 18K yellow gold bracelet with sapphires, amethyst, aquamarine, tourmaline, ruby, tanzanite, garnet, citrine, yellow beryl, spessartite and diamonds. Jane Taylor 14K rose gold tassel earrings with amethyst, iolite, pink sapphires, rhodolite and garnets. Fei Lui 18K white gold leaf necklace with green tourmaline beads, diamonds and garnets.